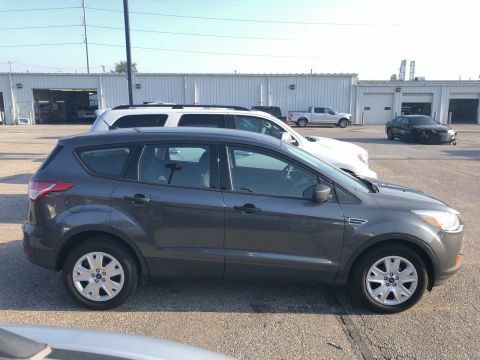 CARFAX 1-Owner, Ford Certified, GREAT MILES 33,056! FUEL EFFICIENT 32 MPG Hwy/23 MPG City! iPod/MP3 Input, Satellite Radio, CD Player, Brake Actuated Limited Slip Differential, Smart Device Integration, Alloy Wheels, Turbo Charged SEE MORE!KEY FEATURES INCLUDEBack-Up Camera, Turbocharged, Satellite Radio, iPod/MP3 Input, CD Player, Smart Device Integration, Brake Actuated Limited Slip Differential Rear Spoiler, MP3 Player, Onboard Communications System, Privacy Glass, Keyless Entry.OPTION PACKAGESCHARCOAL BLACK, CLOTH BUCKETS W/60/40 SPLIT REAR SEAT 10-way power driver's seat w/power lumbar adjust and driver seat back map pocket, WHEELS: 17 ALLOY SPARKLE SILVER PAINTED ALLOY (STD). 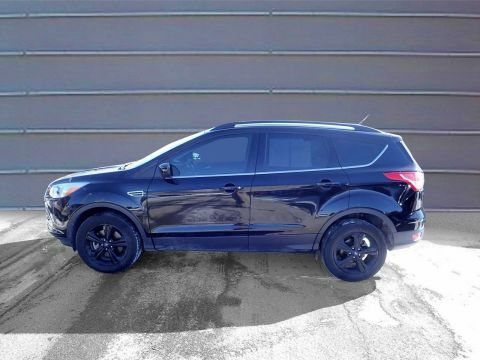 Ford SE with Magnetic exterior and Charcoal Black interior features a 4 Cylinder Engine with 178 HP at 5700 RPM*.EXPERTS ARE SAYINGEdmunds.com's review says With its quick, precise steering and relatively sharp reflexes, the 2016 Ford Escape is one of the segment's top athletes. 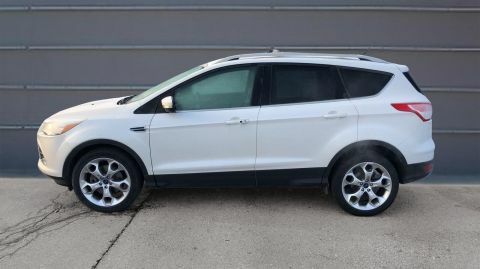 Some compact crossovers feel tall and bulky from the driver seat, but the Escape just feels like a sporty hatchback with a higher center of gravity.. Great Gas Mileage: 32 MPG Hwy. Approx. 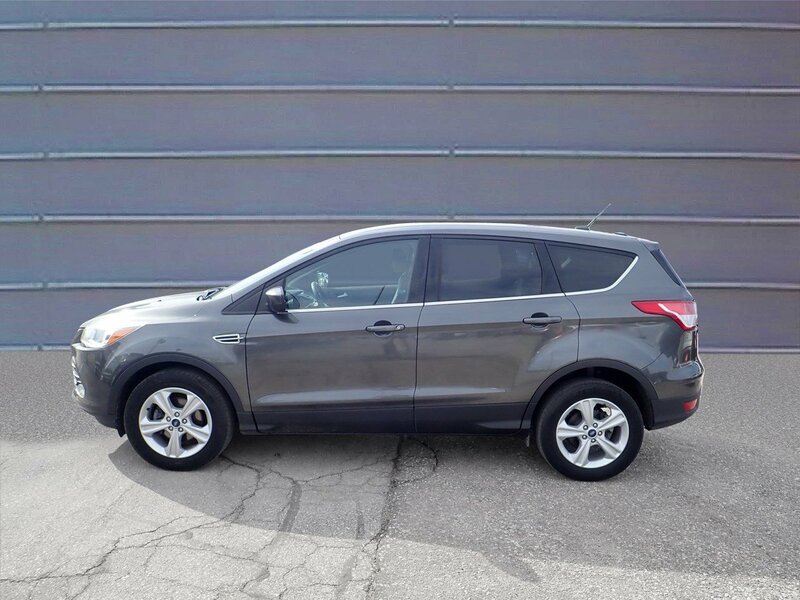 Original Base Sticker Price: $25,800*.PURCHASE WITH CONFIDENCECARFAX 1-Owner 172-Point Inspection and Reconditioning, 24-Hour Roadside Assistance, 24-Hour Customer Assistance, 12 months/12,000 miles Comprehensive Limited Warranty Coverage, Rental Car Reimbursement, Vehicle History Report, 7-Year/100,000-Mile Powertrain Limited WarrantyVISIT US TODAYBaxter Ford South, a full-service Ford dealership in Omaha, is your source for new Ford cars, trucksPricing analysis performed on 4/13/2019. Horsepower calculations based on trim engine configuration. Fuel economy calculations based on original manufacturer data for trim engine configuration. Please confirm the accuracy of the included equipment by calling us prior to purchase.